With the mobile world seemingly taken with Samsung’s Galaxy Note II and indeed it’s predecessor, it’s the introduction of their stylus, the S-Pen, which took and continues to take many if the headlines. 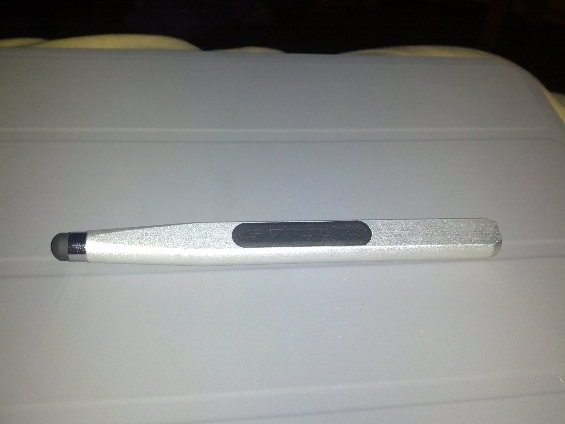 A while back I covered the Zoogue Stylus in an attempt to harness some similar functionality and improve my workplace productivity on my Tablet. Whilst I had an initial good experience on my Motorola Xoom, the novelty hasn’t grown into a habit and productivity on my Android tablet has since dropped (off the edge of a cliff now I’ve got a new iPad). 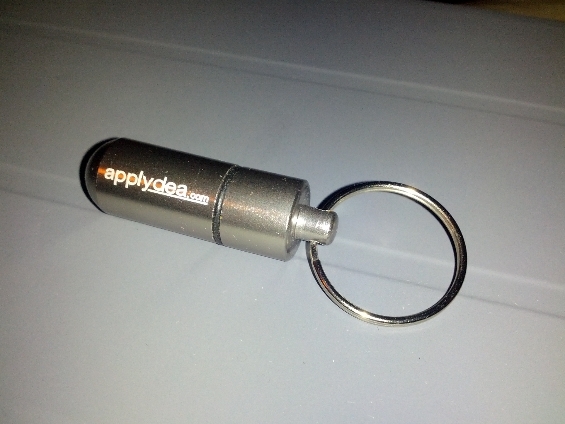 This time we’re looking at the Maglus Stylus from Applydea. 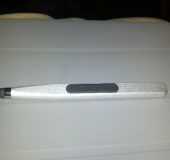 This stylus is considerably different, at a higher price point and should provide me the functionality I’m looking for. Let’s see how we go. 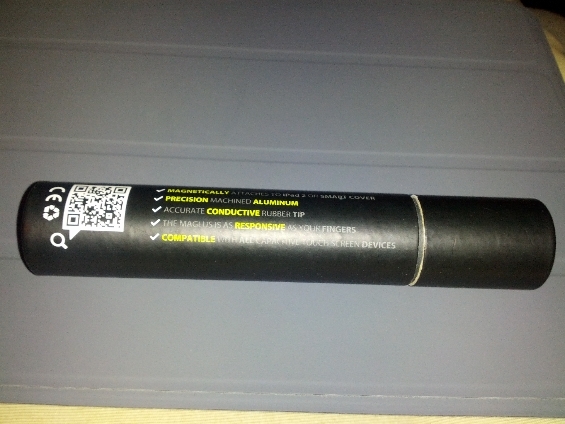 First thing to say about this Stylus is that it comes in some gorgeous packaging. Some of the nicest packaging at this price point of any product I’ve ever unboxed. 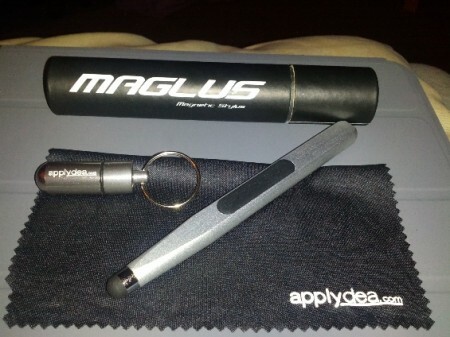 A lovely black cylinder houses the Maglus stylus itself, wrapped in a cleaning cloth. 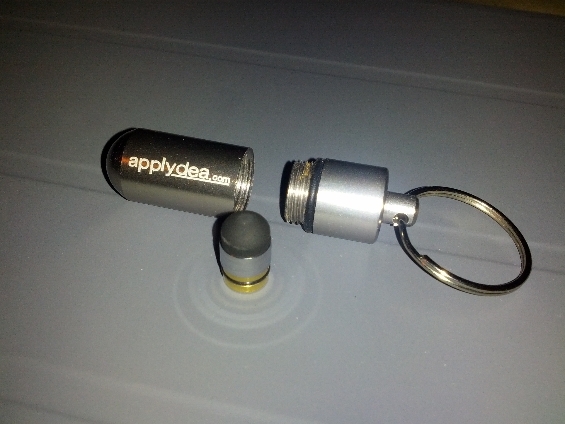 Additionally there is a pill-shaped metallic key ring which unscrews to unveil a spare stylus nib. Coming in at €24.99 (just over £20 GBP at current exchange rate) you really get the feeling that the people at Applydea want you to get the high quality warm fuzzy feeling when you handle this product. They certainly succeed here. 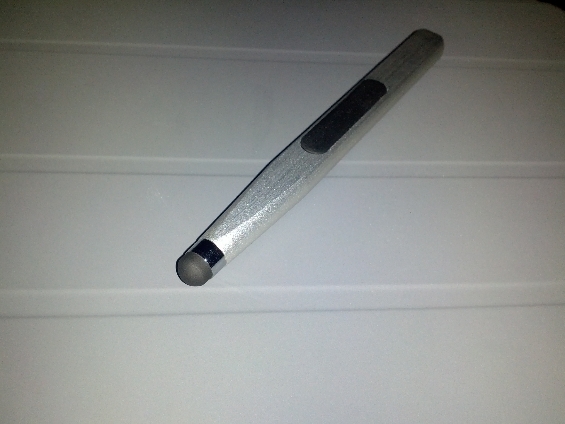 The stylus itself is quite strange when you first lay your eyes on it. It’s aluminium build with a silicone nib bears more resemblance to a chunky pen/pencil than something used to interact with an expensive piece of technology, but it’s cleverly designed and has ergonomics at it’s core. Either side of the stylus’ 139mm length are rubberised grips bearing the ‘Maglus’ branding allowing a comfortable handling experience. However, if you have anything other than a ‘standard’ pen/pencil grip, you might find this slightly unwieldy and difficult to control. Luckily for me, I conform to the norm, but it’s something to bear in mind when looking to purchase a stylus. The Maglus has a 7mm (diameter) tip and is extremely conductive. My original position was that a capacitive tip is a tip is a tip when it comes to styli. However after using this, and the Zoogue alongside each other, the difference is striking. 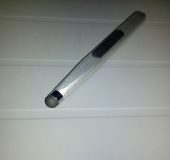 The Maglus has a significantly greater level of pressure levels when used in general Apps such as Paper by fiftythree. Handwriting in note asking applications varies but is, on the whole, very good. As the name might suggest (although I didn’t get it at first!) 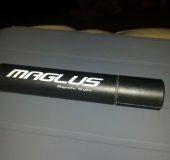 the Maglus has magnets allowing it to be easily attached to most tablets or their cases for safe keeping. 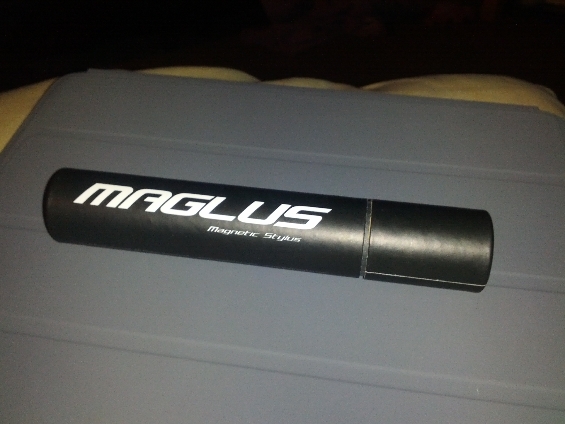 For instance, on the iPad the Maglus can stick to either the cover or the bezel. I my usage testing, I found this more handy that I thought I would. A nice touch. Another nice feature is the ability to change the nib. 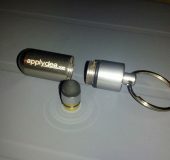 Removal is very easy and the storage of the spare nib in the metallic key ring is also rather cool. 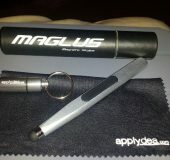 The Maglus is a very unique looking stylus. It’s chunky footprint could make you believe that the ability of the stylus to accurately represent a user’s stroke is less than desirable. However, the opposite is in fact the case. 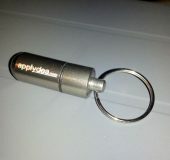 It excels in artistic use and also manages to accommodate handwriting applications without an issue. It has enough weight to ensure that it positions itself well in the hand, but not enough to make it uncomfortable and unwieldy when taking notes. If there is an area that the Maglus let’s itself down it might be in its unique style. As previously mentioned, if you have any uncommon grip you might find this slightly uncomfortable. Obviously I’m unable to test this theory however anecdotal evidence suggests it’s noteworthy. There is really little to put you off this stylus. It handles both handwriting and shading/sketching well and it sits well on the screen. 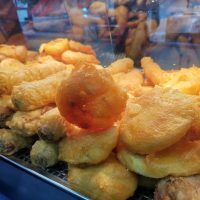 Furthermore at only £20 (exc. 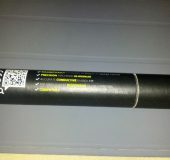 shipping) it doesn’t break the bank meaning it really could be the ideal work mate for your tablet.